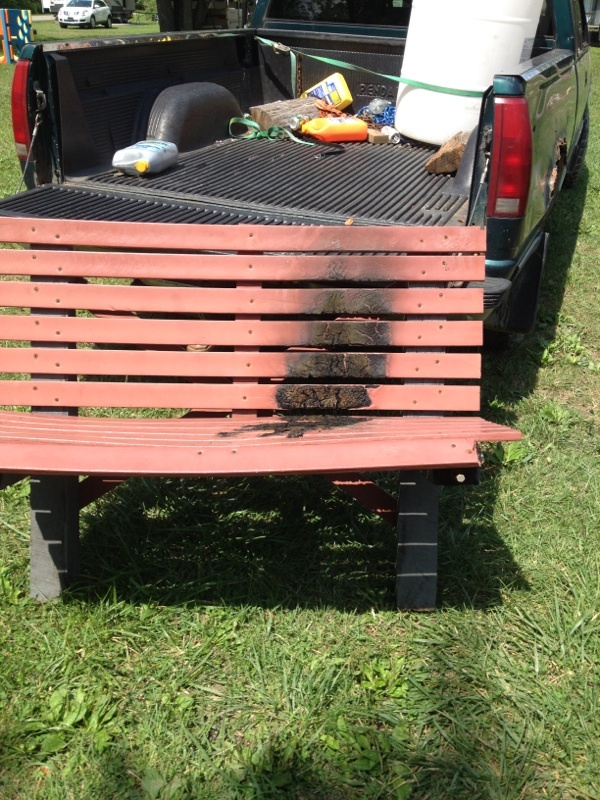 The officers of Mahoning Sportsman are urging anyone who witnessed the destruction of club property as in the dismantling and destruction of benches that were burned and thrown into the lake, and the destruction of one of the boat docks. 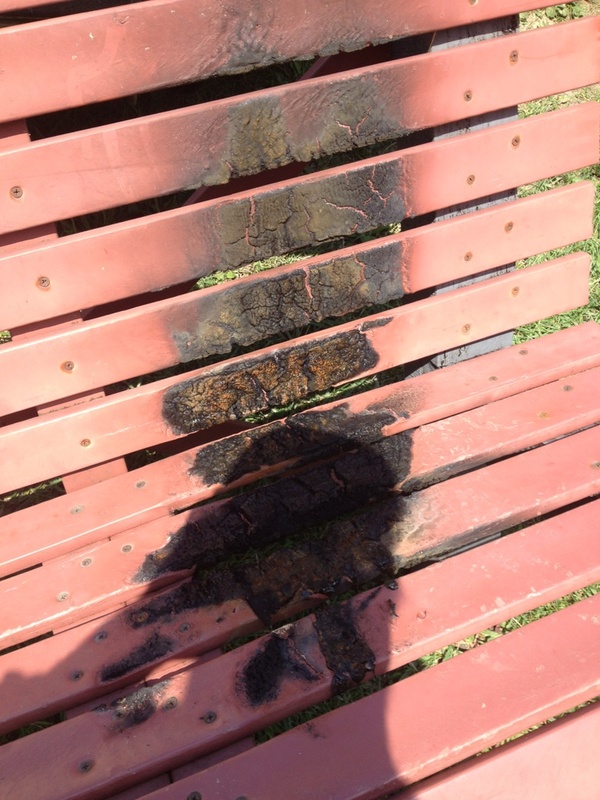 Ignorant members that destroy club property make it impossible for the club to spend money and upgrade the club facilities. The officers know there were witnesses to the destruction of the boat dock, and are urging these witnesses to come forward so the people responsible for these crimes can be dealt with. All information will be kept confidential. For your safety and our records you must fill out a camping registration form. This procedure has been in effect for over 20 years. Forms can be obtained at the rear of the Club House (mailbox by garage door) or from Ray Beadling. Forms obtained at the rear of the Club House are to be filled out and dropped in the slot. Fill out the form the day you start camping! Camping is on a first come basis! No reserving a camping site! This way, we can notify you of any emergencies and we have a record of who is camping where. Whole deer may not be brought into Pennsylvania from any state with CWD. Pennsylvanians who harvest deer anywhere in New York, Ohio, Maryland or West Virginia no longer may bring them home without first removing the carcass parts with the highest risk of transmitting chronic wasting disease (CWD). As part of the fight to slow the spread of CWD in the Commonwealth, the Pennsylvania Game Commission has updated its executive order prohibiting the importation of high-risk deer parts into Pennsylvania. While the order has always prohibited whole deer from being brought into Pennsylvania from most U.S. states and Canadian provinces where CWD exists, it previously permitted deer harvested in New York, Ohio, Maryland or West Virginia to be brought in, so long as the deer weren’t reported to have been harvested in any county where CWD has been detected. The updated order gives Pennsylvania’s free-ranging deer better protection, said Game Commission Executive Director Bryan Burhans. 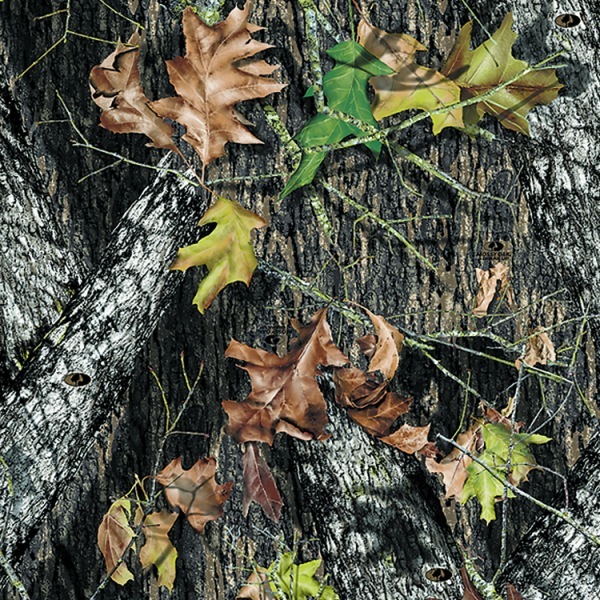 “The previous rules didn’t provide assurance that deer harvested in CWD-positive counties within New York, Ohio, Maryland or West Virginia weren’t making their way into the Commonwealth,” Burhans said. “While the order prohibited the high-risk parts of those deer from being imported into Pennsylvania, enforcement of the order relied on out-of-state hunters being knowledgeable and honest about harvest sites. Now that the updated order has taken effect, there are a total of 24 states and two Canadian provinces from which high-risk cervid parts cannot be imported into Pennsylvania. The parts ban affects hunters who harvest deer, elk, moose, mule deer and other cervids in: Arkansas, Colorado, Illinois, Iowa, Kansas, Maryland, Michigan, Minnesota, Mississippi, Missouri, Montana, Nebraska, New Mexico, New York, North Dakota, Ohio, Oklahoma, South Dakota, Texas, Utah, Virginia, West Virginia, Wisconsin and Wyoming; as well as the Canadian provinces of Alberta and Saskatchewan. Those harvesting cervids in the identified states and provinces must leave behind the carcass parts that have the highest risk for transmitting CWD. Those parts are: the head (including brain, tonsils, eyes and any lymph nodes); spinal cord/backbone; spleen; skull plate with attached antlers, if visible brain or spinal cord tissue is present; cape, if visible brain or spinal cord tissue is present; upper canine teeth, if root structure or other soft tissue is present; any object or article containing visible brain or spinal cord tissue; unfinished taxidermy mounts; and brain-tanned hides. Hunters who are successful in those states and provinces from which the importation of high-risk parts into Pennsylvania is banned are allowed to import meat from any deer, elk, moose, mule deer or caribou, so long as the backbone is not present. Successful hunters also are allowed to bring back cleaned skull plates with attached antlers, if no visible brain or spinal cord tissue is present; tanned hide or raw hide with no visible brain or spinal cord tissue present; capes, if no visible brain or spinal cord tissue is present; upper canine teeth, if no root structure or other soft tissue is present; and finished taxidermy mounts. Pennsylvania first detected chronic wasting disease in 2012 at a captive deer facility in Adams County. The disease has since been detected in free-ranging and captive deer in parts of southcentral and northcentral Pennsylvania. To date, 104 free-ranging CWD-positive deer have been detected in Pennsylvania. The Game Commission in late February also established its fourth Disease Management Area, DMA 4, in Lancaster, Lebanon and Berks counties in response to CWD turning up at a captive deer facility in Lancaster County. Burhans said hunters who harvest deer, elk or moose in a state or province where CWD is known to exist should follow instructions from that state’s wildlife agency on how and where to submit the appropriate samples to have their animal tested. If, after returning to Pennsylvania, a hunter is notified that his or her harvest tested positive for CWD, the hunter is encouraged to immediately contact the Game Commission region office that serves the county in which they reside for disposal recommendations and assistance. 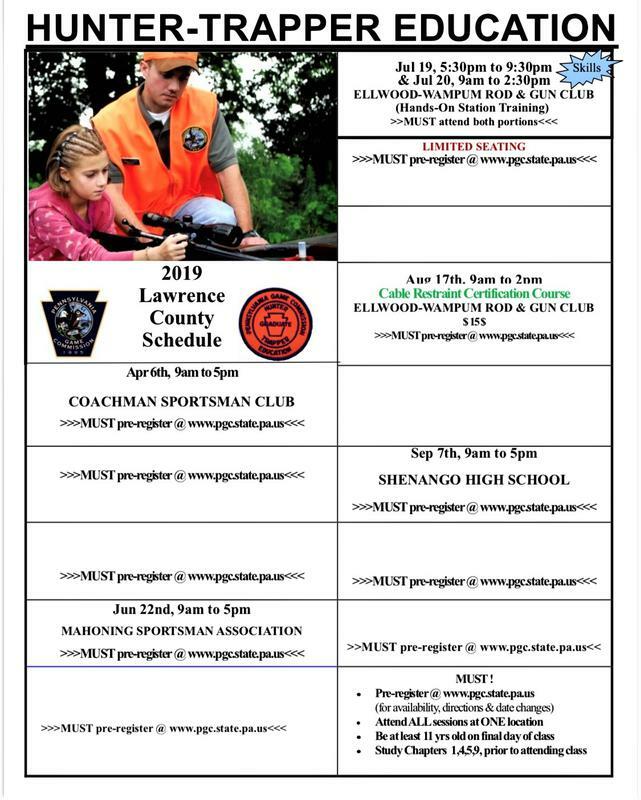 A list of region offices and contact information can be found at www.pgc.pa.gov by scrolling to the bottom of any page to select the “Connect with Us” tab. First identified in 1967, CWD affects members of the cervid family, including all species of deer, elk and moose. To date, there have been no reported cases of CWD infection in people, according to the Centers for Disease Control and Prevention (CDC). But the disease is always fatal to the cervids it infects. More information on CWD can be found at CDC’s website, www.cdc.gov. Much more information on CWD, as well as a video showing hunters how they can process venison for transport and consumption, is available at the Game Commission’s website. WE HAVE TEE SHIRTS AND HOODIES FOR SALE ON SUNDAYS! WE WILL HAVE TEE SHIRTS AND HOODIES FOR SALE ON SUNDAYS! NEW MEMBERS ARE ENCOURAGED TO HELP!